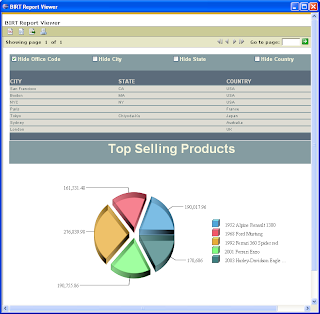 JFire is a comprehensive Open Source ERP solution that uses BIRT for reporting. A couple of weeks ago at the Eclipse Forum Europe conference, I had the opportunity to look at what they are doing with BIRT. Not only do they include BIRT designs, they have gone as far as to include a customized version of the designer within their product. Alex Bieber demonstrated some of these customizations, including a workflow parameter entry builder and a customized editor for creating resource files for BIRT. 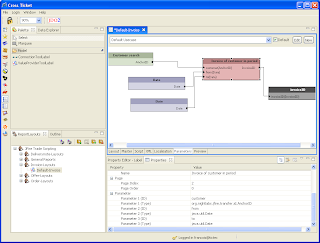 Below is a screenshot of the parameter workflow builder. This feature effectively collects parameters in a cascaded fashion and ultimately passes the final value onto a BIRT report for generation. 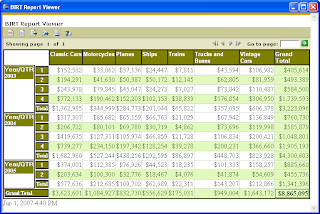 As displayed in the screenshot above, this builder is available as a new tab on the modified BIRT designer. To read more on these customizations, go to the JFire site or checkout the JFire wiki entries for these features. A survey is being conducted which I thought may be of interest to BIRT report developers. The results will provide valuable insights into awareness and trends in Open Source software adoption and usage, and as a participant you have the opportunity to ensure your opinions and experiences are included in the analyses. This survey is now in its second year so comparative results will also give some key insights into how perceptions, trends and adoption levels have changed in that period. In return for taking part, you will receive a summary of the results from the full study. You will also have a chance of receiving one of five $100 Amazon vouchers. This survey will take about 5 minutes of your time. To get started, click here.